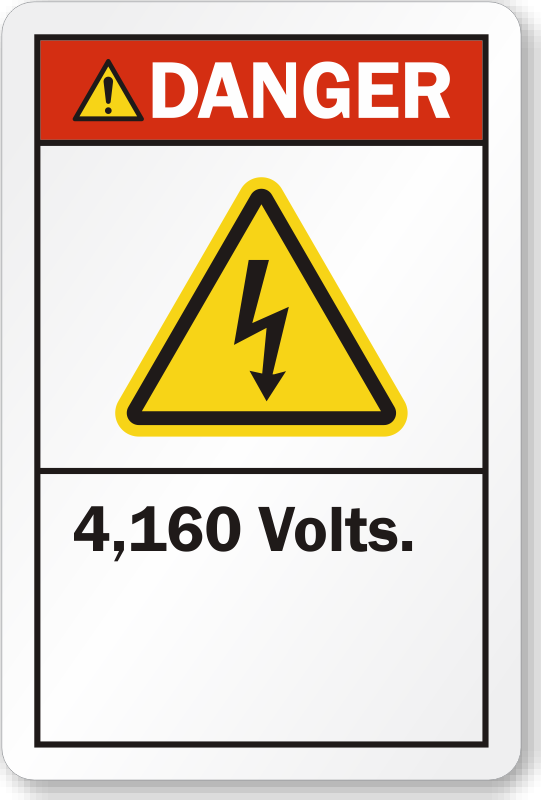 Our 4160 Volts signs and labels help prevent electrical accidents. 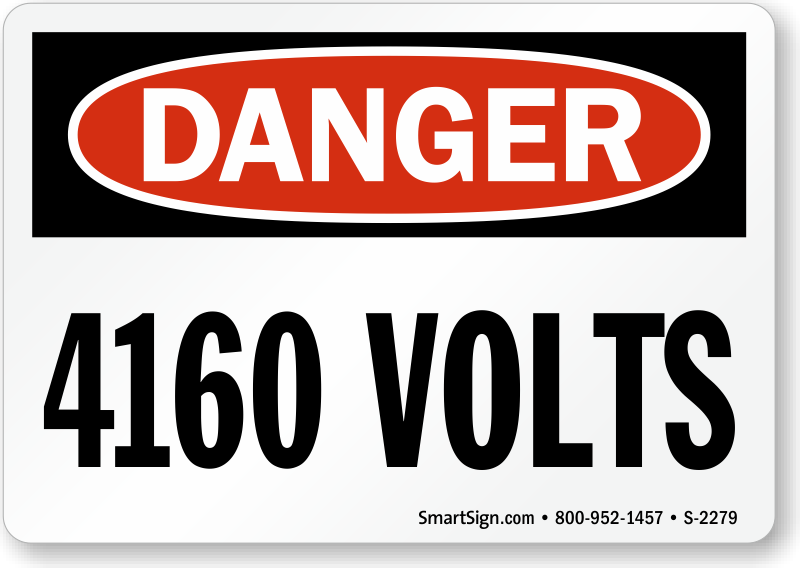 Use voltage markers to quickly identify power lines, bus ways, fuse boxes, conduits, electrical switches, outlets, and devices. 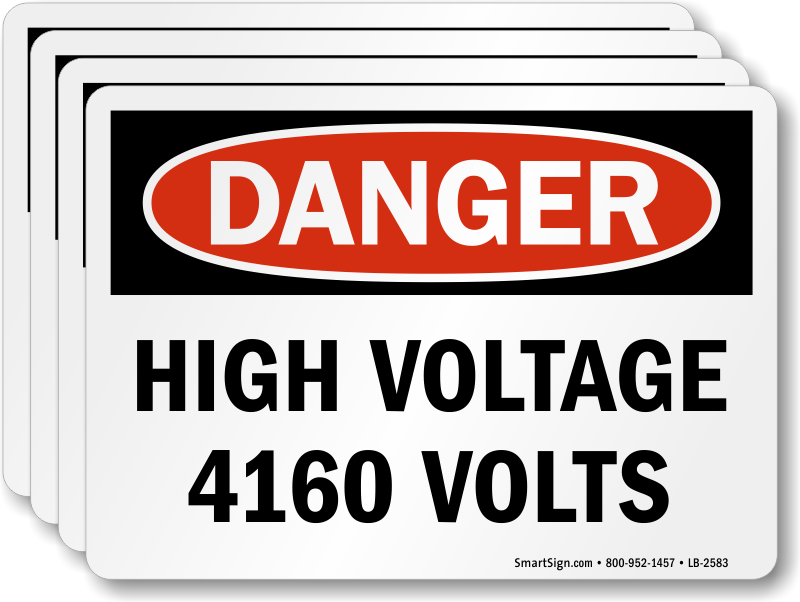 Voltage markers will ensure that your valuable electrical equipment does not get damaged. Taking preventive measures will ensure an impeccable safety record. • Voltage markers have heavy permanent acrylic adhesive backing so they stick to most surfaces. • Voltage marker books available. Easy to carry, easy to use. 15 labels per book. • Choose from a range of different sizes. • Signs with “Danger” as a signal word help you emphasize the need to take warnings seriously.